Next to the seasons, El Nino is the most powerful force driving global weather. Find out what scientists are learning about this phenomenon and its reach through space and time. 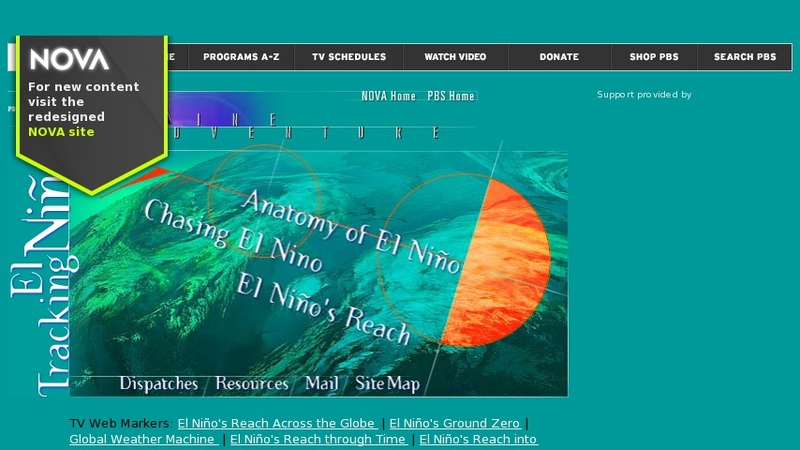 Site features: Anatomy of El Nino, Chasing El Nino (webpage on the original broadcast of October 13, 1998, including teacher's guide), El Nino's Reach, collection of 1998 dispatches, and links to external sites.